Back in April 2011 I had a friend request on the ever-so-popular social media, Facebook. I accepted and not long after accepting I sent him a message saying thanks for the add. He replied pretty much straight away and that is when it started. We got chatting all day, getting to know each other a little and it lasted for a good few days. Luckily, I was off work that day so I got a chance to answer him back pretty much straight away. We had a few talks about meeting up. He lived around 30 minutes away from where I lived at the time. I had a friend who lived down the road from him so I asked if she would come with me to meet him at his local pub and asked one of my friends from where I lived to come with us too. I remember when my friend came to pick me up o , I was nervous. I couldn't stop talking and wasn't quite sure what to expect. I mean, I had seen photos and he sounded so lovely but meeting up in a local pub knowing he was with friends and other locals did make me pretty nervous. As we arrived, luckily my friend from the village was known there so I felt a little less nervous. She pointed him out to me and all I had was a bunch of butterflies in my stomach. He was getting a drink and came over with one of his friends to sit with us. I had no idea what to say. If I remember rightly, we looked at each other a lot but didn't say much to each other. Eventually, my friend moved over and he came to sit next to me for a photo, our first photo together! 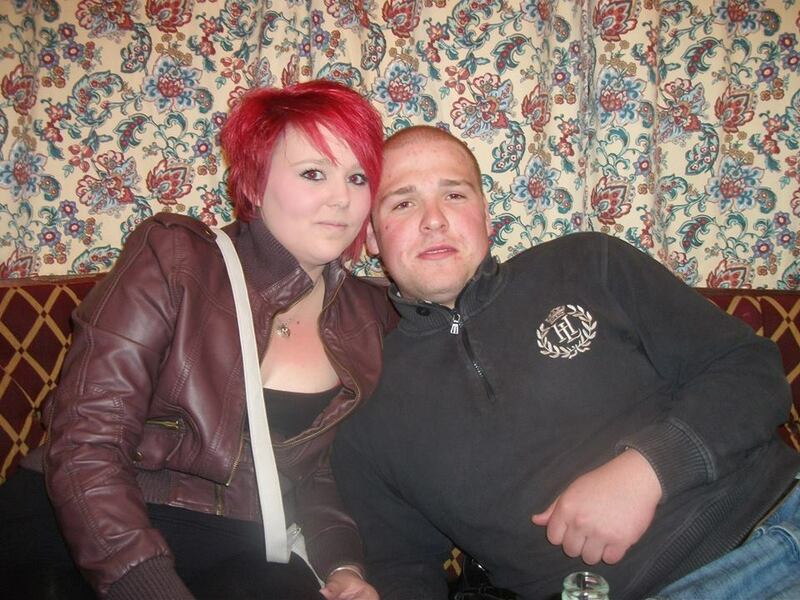 Looking back, I have no idea why I had my hair cut so short and dyed bright red - haha! However, not long after that photo I had to go as it was getting late. We had a hug before we went and text each other after I got home. All I remember is, I was so happy. The funny thing about this story was just before Christmas 2010, I had messaged him on Facebook and he was very dry back. I had deleted that Facebook and made a new one. He had seen me in a bus stop one day after college and that is when he found me on Facebook. It really is a small world isn't it? He came over to where I lived a few times. He didn't meet Mia for a couple of months. So he used to come after work, when Mia was in bed fast asleep. We used to go out for a spin his van a few nights when my Dad would keep an eye on Mia at home. Out of all the other relationships I was with, this one seemed different. We weren't rushing into anything and we really did take our time to just to get to know each other. It's always lovely to hear stories of how people got together and it's amazing how chance encounters can lead to love. Aww this is so lovely - you've just reminded me it's mine the other halves 6 years together this month. I love hearing about when a couple first met, reminds me of when I first met my boyfriends and makes me all happy! 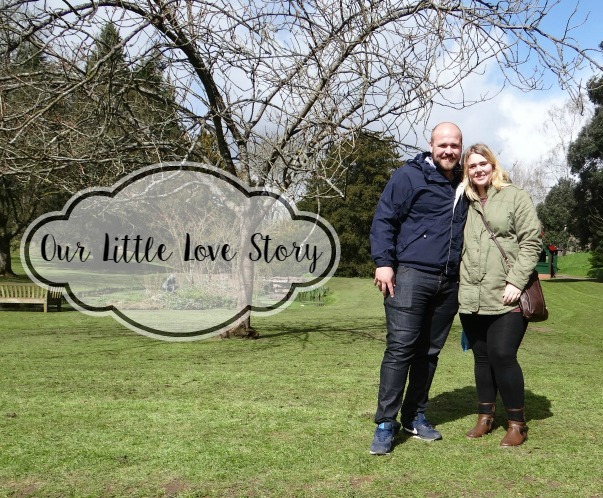 How lovely to look back on how you met :) My husband and I met through mutual friends and we have some funny stories to tell about the first few times we met! That's amazing meeting thrugh facebook like that then bumping into each other. Great story. It's awesome that you were able to connect through Facebook! The photo of you two is super cute. I love hearing about how people meet - it's always so interesting! Looking forward to the next part of the story! Aww it's such a cute story. Im always excited when I hear about online relationships working as you hear so many horror stories. Wow look how different you look. I met my hubby online too. Aww such a cute Facebook love story, I enjoyed reading this. What a lovely story! I can't wait to read what happened next! Just think, when you're kids are grown up they'll be able to read about how you met and really get to know you from a new point of view. 20 years ago social media was just not a thing!